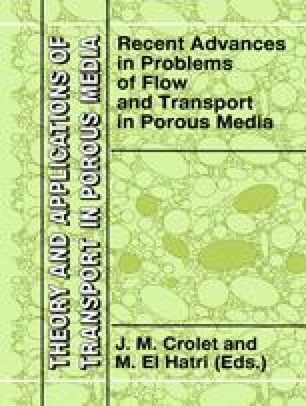 A numerical dispersion is often observed in the simulation of flow and mass transport in porous media. This phenomenon, which is well known by numericians, is characterized by the occurrence of negative values for the solute concentration and it is important to master this parasite effect in a simulation software. During the validation of such a software, this disturbance was studied in the case of the Henry’s problem. Several technical possibilities have been reviewed and a better solution can be obtained.